In spinning class is organized group exercise that focuses on endurance, strength, intervals, high intensity (race days) and recovery. Participants use a special stationary bike called a spin bike. In the class they set individual goals based on their heart rates, which means every person gets an individual workout at their own comfort level even in a group class. 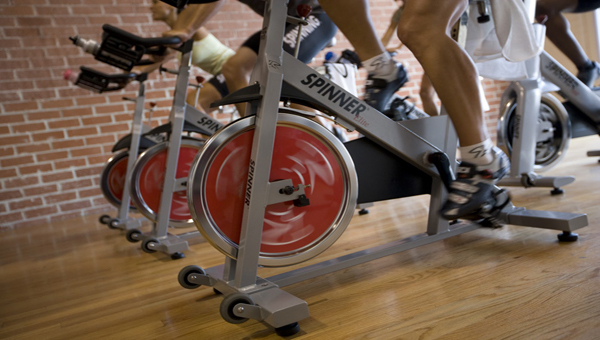 Spinning classes are offered in thousands of gyms all across the country. They are usually separate from the rest of the gym because they involve very loud music and an instructor for motivation. The instructor leads the class through simulations of outdoor bike riding.